It's raining, so I went to clean out our dry wall on the back side of our house for the runoff to drain away and saw these. My yellow Lady Banks Rose is starting to bloom. Guess she thinks it's Spring already. I'll take her prognostication any day over that ground hog. It's in the low 50s today - a 30 degree difference from last week when it was in the 80s - typical California weather - LOL. 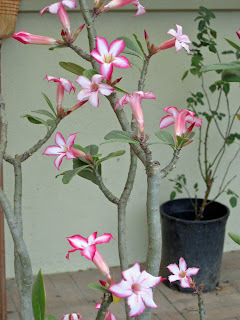 And here is our adenium. It has bloom all winter long. I'm lovin seeing your flowers in the dead of winter! All you can see here in MI is snow, snow and more snow! oh yeah, and dirty snow too! LOL with sticks sticking out of it! ROTFL - Diana, that's why I put up with earthquakes to have this kind of weather. It's that or move to Puerto Rico. and we can use more rain if it comes. But last week was a nice feeling from the cold. Your adenium looks like Plumeria. Is that a variety.? 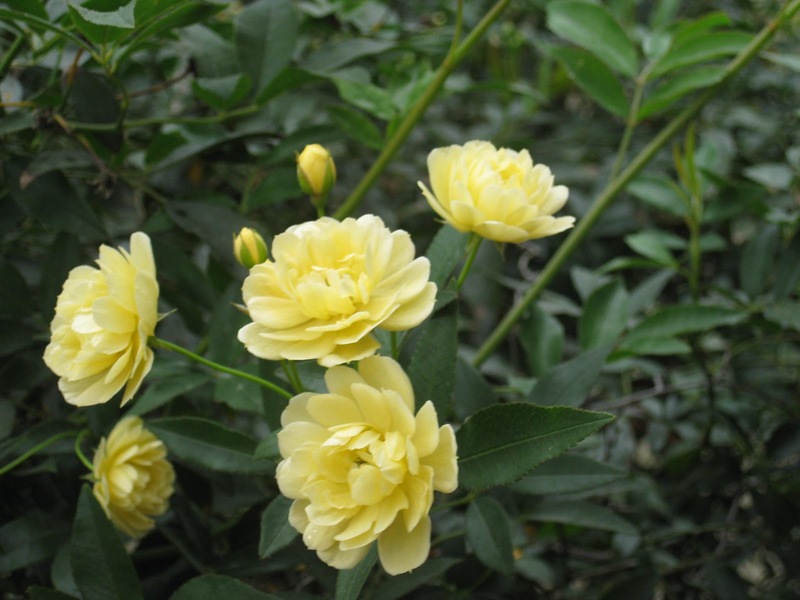 Beautiful flowers in your garden! I can't complain about snow here in the tropics, we've had a lot of rain over the last week, which is so needed due to drought.